Looking for a useful but unique gift for a new mom or mother-to-be? 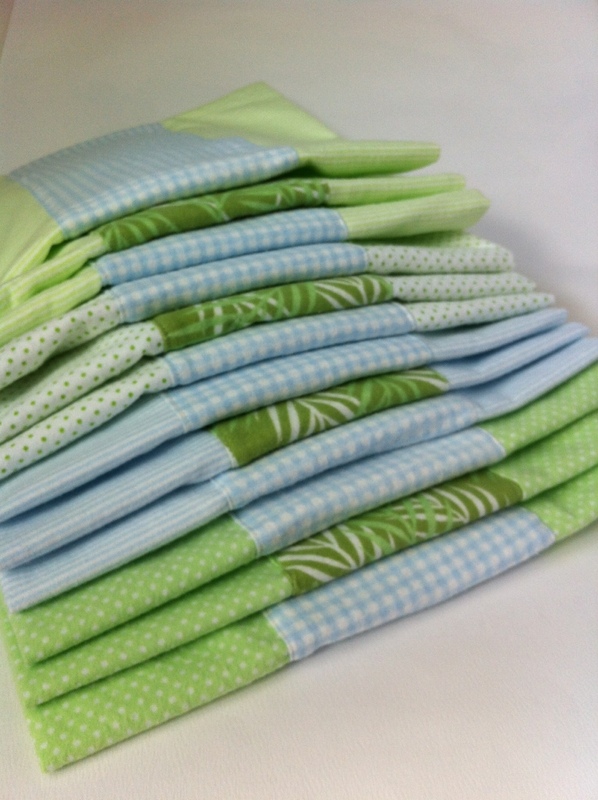 Make some burp cloths. I made these a few weeks ago for Mr. Aitch’s niece who’s expecting her first baby in February. I used a few different prints and coordianted them with the baby bedding. The tutorial is on my tutorial page. You can make two out of one yard of flannel or get creative and use two ro more coordinating prints and solids. My original ones were made out of leftover pieces of flannel as well as some cut up flannel sheets and even a few of Mr. Aitch’s too-small-but-still-good flannel shirts. Just make sure you pre-shrink the flannel as it will shrink…A LOT!! I can’t stress that enough. Pre-shrink!! Click here for more info then print out the directions and make a mom happy. This entry was posted in finished object, pattern, sewing, TUTORIAL and tagged baby, finished object, Free pattern, gift, sewing by Patti_is_knittinginflashes. Bookmark the permalink.